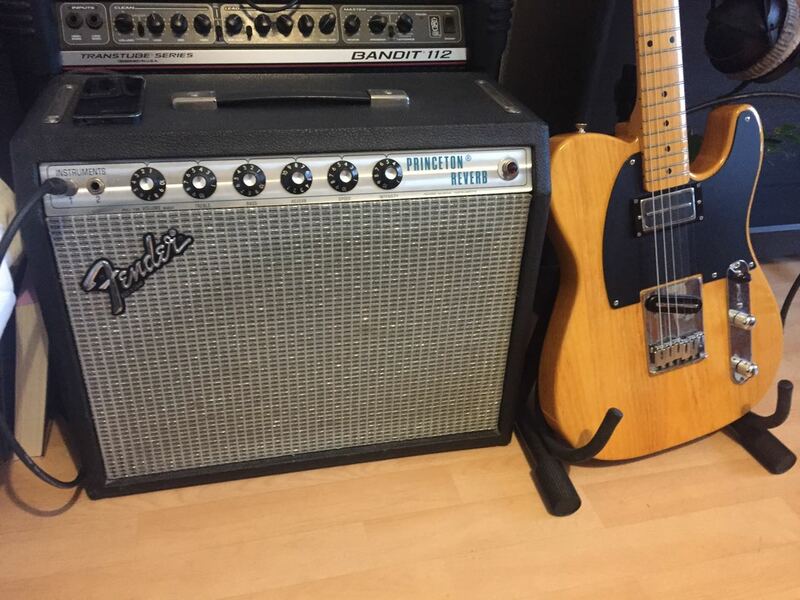 Fender Princeton Reverb - ..:: The Ted Greene Forums ::.. I life in Berlin and tried some different PR but no vintage one or clone till today. do you guys have experience or know what I should give a detailed look or listen before buying. In general playing tele with humbucker (PAF like amber pickups), 12-52s looking for a tube Amp mostly for home use and small venues and playing solo Guitar. I heard julian lage playing a vintage champ sounded pretty nice, too. Would love to hear your thoughts and help me to choose the right one.. I have a 4 year old black face PR re-issue. I sat and listened while another player tried amps for me, so I could really concentrate, and have a second opinion as well. In my tests the PR sounded better then a deluxe re-issue, by a little. And since I owned the real '65 deluxe for 30+ years, I was surprised. Volume could be an issue for gigging, although I think a second speaker could help. Ted had a silver face PR at Barb's house (for her, although he played it more). I can't recommend those personally though. I play 11-50, fingerstyle, tele, and Humbuck. I haven't tried my PR in dropped tuning, but would do so if you do ted stuff. Fenders are pretty easy to repair. I worry about the boutiques, but I haven't found one I like better so, no help there. Had an interesting weekend and tried once more amps at a local store. They had the 68 custom and a new one: a custom 68 Princeton reverb ltd edition with a 12" celestion alnico blue speaker (http://www.musicradar.com/news/fender-gives-its-68-custom-princeton-reverb-a-black-blue-makeover-with-limited-edition-amp). I hoped it to be the one but unfortunately I couldn't play it through channel one at all, just too much bass with the thicker strings and tuned down a half step. Channel 2 sounded nice at decent volumes but the whole amp hat some weird buzzing going on when I played an Bb. And thats a deal breaker for such an expensive amp. The 68 silver face had some buzzing too. I think my guitar is with the detuning, strings and bucker a little more on the dark side of the rainbow, so maybe the 65 would be the thing to compensate that. When I went home to play my relatively cheap Peavey Bandit Red Stripe SS Amp, I was surprised how good it sounds. Next step: I decided to order a 65 just to have the time to test it for a few days and let my girlfriend play a little bit to compare it with my peavey and as you said concentrate on the sound more. Hopefully it helps. I just want to keep you updated after you helping me a lot in my decision making process. After finding and trying a reasonable priced Fender '79 Princeton Reverb I just bought it. It is one of the era with push pull Bosst but with that thing not pulled out it sounds super sweet. The tremolo and reverb are not very intense but enough to color sound and for more space sounding stuff I use the strymont flint. The amp is untweaked. And for now I don´t see much of a reason to do so. The volume pot is a little super sensitive and it feels like everything is possible between 1-2. Maybe someone can add some advice to mods or so with this kind of amp, would appreciate it.